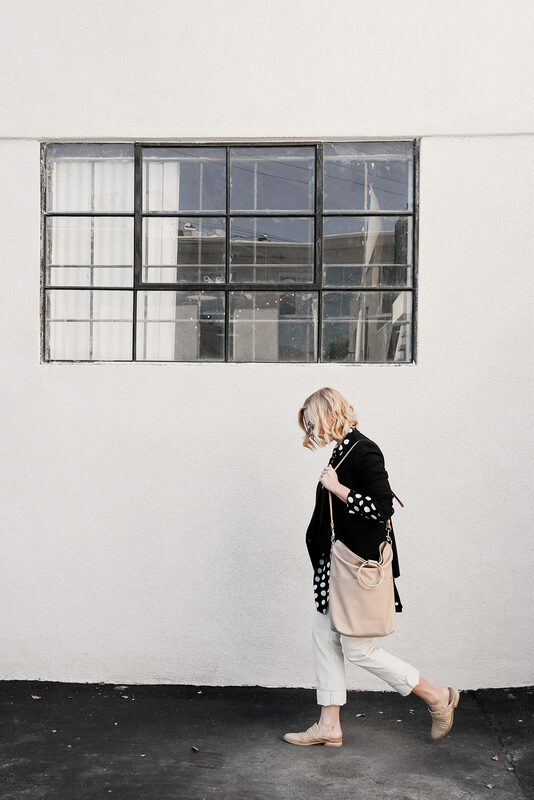 There’s no question that when it comes to patterns, polka dots are my absolute favorite. (Okay, leopard’s up there too, but animal spots are basically nature’s polka dots, right?) Think about it. Polka dots are an all-too-rare instance of everything to everyone: bold repeating shapes for the modernist, timeless panache for the classicist, and loads of quirky fun for the eccentric. 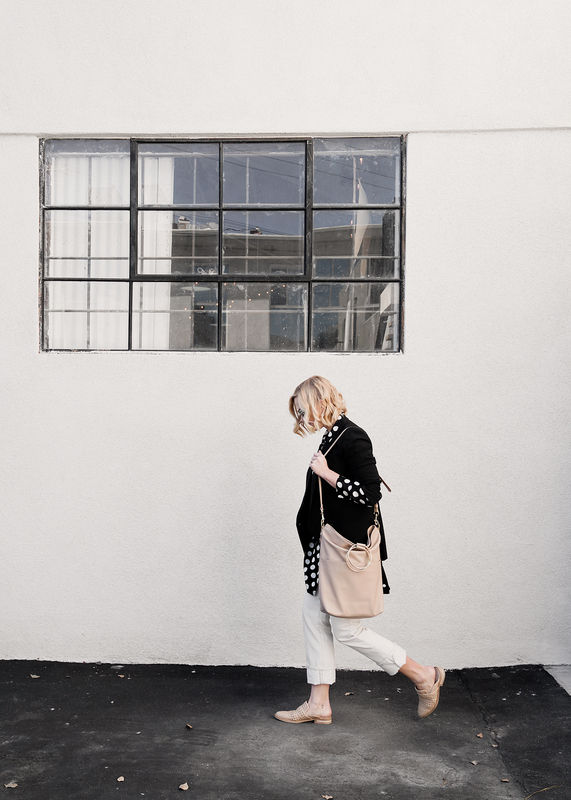 And perhaps I’m biased by my love of neutrals, but when it comes to the palette of choice for this versatile pattern, black and white polka dots hold the tippy-top spot in my heart! So naturally I was thrilled to see that my perennial fave is now trending! This print was all over the runways for spring, and even though I’d wear them even if they weren’t, I’m celebrating because it means lots of dots for me to choose from in stores. I’m especially fond of the flowy, blousy options currently out there, and when I spotted (ha!) 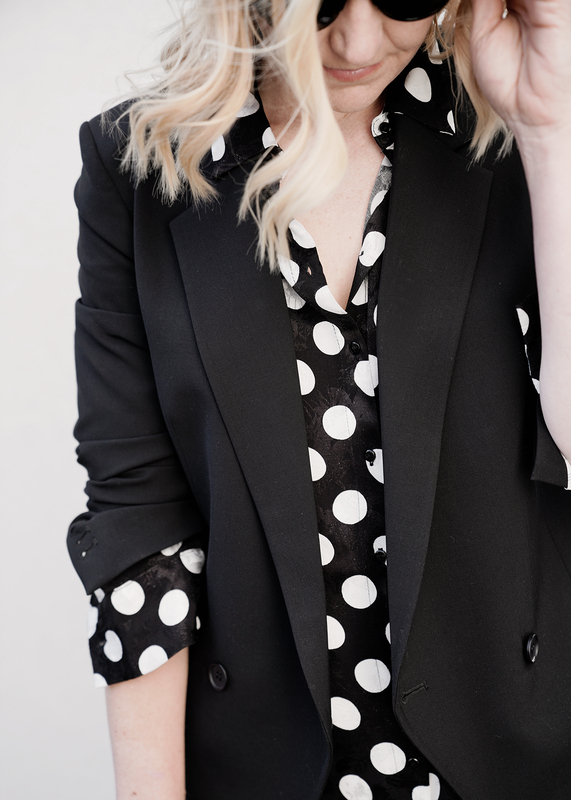 this polka dot shirt dress that’s loose and languid and oh-so-comfy, I had to make it mine! 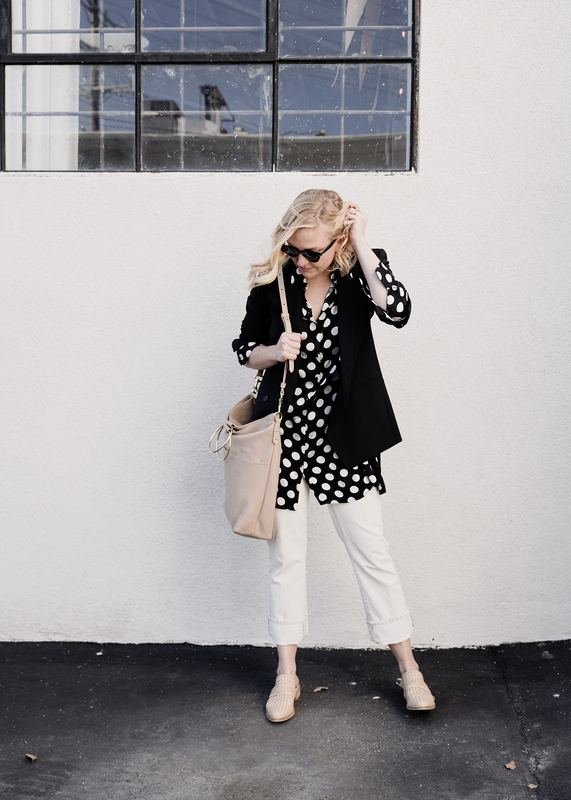 To make this polka dot blouse feel appropriate for transitional spring style, I opted to pair it with straight-leg white jeans that whisper promises of warmer days to come—but still maintained a slight cool weather vibe with a structured black blazer that nicely offsets the shirt’s casual drape. Accessories in buff provide a mid-range hue that balances out all that black and white. 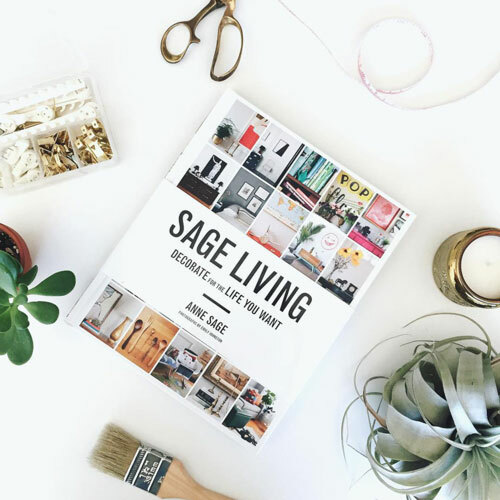 This very au courant o-ring tote is called the Sage Tote (my amazing friend Toni, the founder of Thacker, named it in my honor! ), and these woven Freda Salvador mules are definite conversation starters—as in, “I’m sorry to bother you, but you must tell me where you got those shoes!” It’s a strong supporting cast that lets this fun, fabulous pattern be the star, and it’s the perfect way to bounce right into spring!